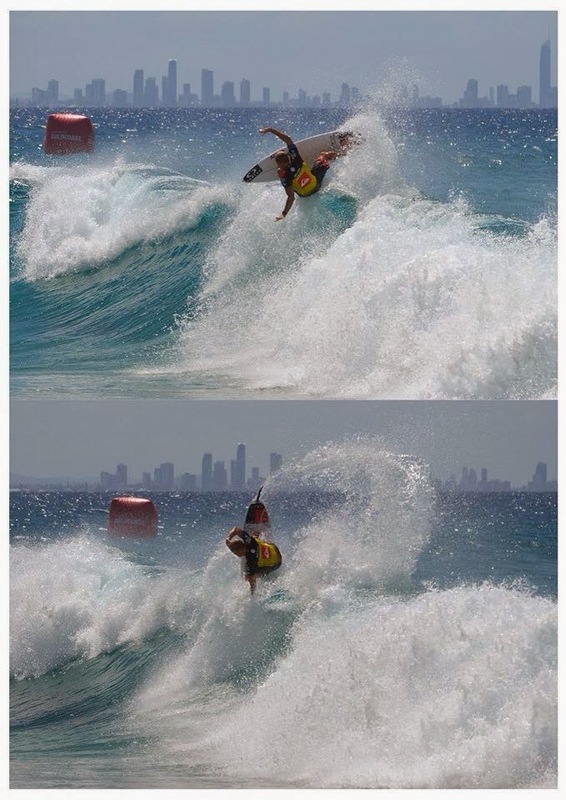 Quiksilver Pro Gold Coast, Event #1 of the Men's World Championship Tour, runs March 1st - 12th based at Snapper Rocks. Adam Melling will be hoping to improve on his great result from last year when he finished 9th. Mello surfs in Ht6 vs Mick and Dane. Good luck mate. Mello was ripping today but a couple of stumbles relegated him to round 2 vs Wilko. A great heat for Mello today starting with a 8.17 backed up by a 4.77 and enough to hold on for the win. He surfs next in Ht4 vs CJ in round 3. Sometimes a heat has plenty of sets and sometimes not. Unfortunately Mello had a heat when the ocean went quiet today. It turned into a low scoring affair and C.J was genuinely suprised that he had won it. Adam finished 13th and now looks ahead to W.A and the restored CT event at Margs. Saturday 1st March: ESE tradewind swell 2 – 3ft at Snapper Rocks. WIND: Early light SSW tending S to ESE 15 to 20 knots. Sunday 2nd March: ESE tradewind swell up to 2 - 3ft at Snapper Rocks, gradually building. WIND: Early light SSW tending SE 15 to 20 knots. Monday 3rd March: ESE tradewind swell. Sets to 3 - 4ft at Snapper Rocks. WIND: Early light SSW tending ESE 15 to 20 knots. Tuesday 4th March: ESE tradewind swell. Sets to 3 – 4ft at Snapper Rocks. WIND: Early light SSW tending SE 10 to 20 knots. Wednesday 5th March: ESE swell around 3ft+ at Snapper Rocks. WIND: Early light SSW tending SSE to ESE 10 to 15 knots. Thursday 6th March: ESE tradewind swell and underlying E groundswell 2 – 3ft at Snapper Rocks, speculatively building during the day. WIND: Early light SSW tending SSE to ESE 10 to 20 knots. Friday 7th March: ESE swell and potential E groundswell speculatively 3 – 4ft at Snapper Rocks. WIND: Early light SSW tending SSE 10 to 20 knots. Saturday 8th March: ESE swell and potential E groundswell speculatively 3 – 4ft at Snapper Rocks. WIND: Early light SSW tending SSE 10 to 20 knots.